Karen Godin, in-home service manager at Pathways in Southwest Iowa, shares her Immanuel success story. Godin first began her career with Immanuel as a CNA at Lakeside Village. It was there that she decided to pursue higher education. While in school, Godin worked nights at Trinity Village and graduated in 2012. She desired to work with PACE® as a nurse, so as soon as she graduated she was hired at her current location as an RN. This past December she was promoted to be the in-home service manager. Along with the opportunities provided to employees, Godin greatly believes in the good that Immanuel Pathways PACE provides its participants. Godin sees both sides of the program, as her own father has been a participant for two years. She explains that at Pathways, both staff and participants, experience a family atmosphere. People who come into the program are like family. Outside of work, Godin has tried her hand at acrylics. She says that painting has become an avenue for her. She also loves to read, garden and just recently sold her motorcycle, which she rode as a hobby. She attributes her personal growth to her husband, Dave. 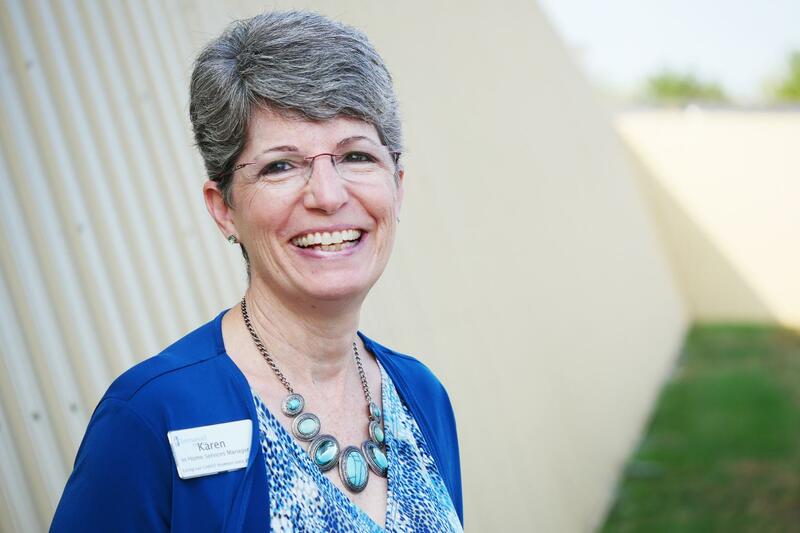 With Immanuel, Karen has the opportunity to accomplish great things. Known for her servant heart and listening ear, we are grateful for her contributions to the organization and to the participants that she cares for so deeply. To learn more about Immanuel’s Pathways Program, please visit immanuel.com/immanuel-pathways.